Fridge magnets: Ok, I know what I said. But my mom actually loves having fridge magnets from everywhere we’ve travelled. It’s also a great option for moms who already have everything, have no space for more items, or generally don’t care about receiving gifts. Consumables: Get your mom something she can eat, drink, use in cooking or serve to guests. If she’s the chef of the home, consider getting her some local spices. If you’re in an area renowned for tea, coffee, or chocolate, get her some (especially chocolate). Test out the local delicacies and bring her something you think she’d like. Clothing: Be very careful with this one. Your dad might be happy with an XL Bermuda t-shirt, but it’s not the best option for mom. Think colourful sarongs from tropical destinations, or a locally made scarf. If you know your mom’s size and are looking for a bigger ticket item, you could bring her back an authentic Indian sari or a kimono from Japan. She may never wear it, but these are beautiful keepsakes. Jewelry: Not every woman likes jewelry, but if your mom does it might be a great gift. If you’re in a region of the world that specializes in jewelry worked in certain metals or stones you might be able to find a great deal. Some countries have very specific styles of jewelry that are recognizable, for example the Greek key design or Celtic squares, circles and spirals. 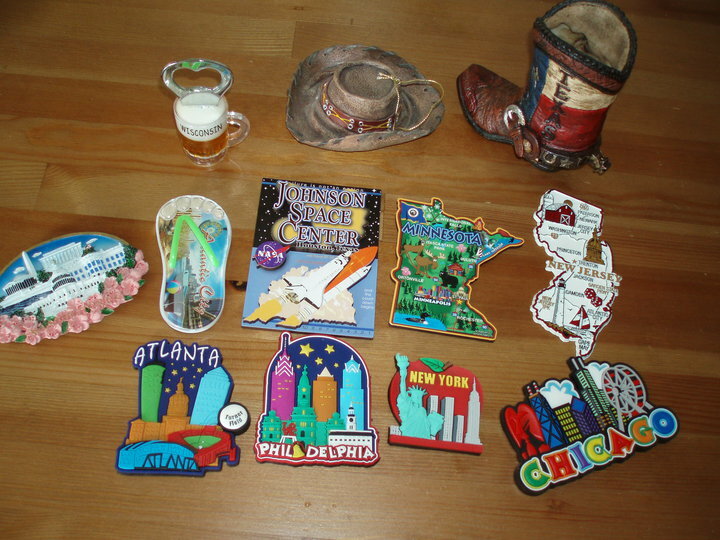 You should be able to find something reminiscent of your travels and is also within your budget. Art: When travelling you will likely come across local craftsmen selling their work or street artists drawing, painting and selling pieces depicting local scenery. Sometimes a small painting or sculpture can be a really beautiful reminder of your trip. A large piece might be something that mom can brag to her friends about. Just be sure that your mother has space on her walls/hearth/condo for whatever it is you’re thinking of buying. Also, be careful of buying wooden carvings – they can be confiscated at customs if there have been any problems with insects in the region you’re travelling in.